Interval between the recorded onset of symptoms and patient presentation to their primary care physician's office for initial evaluation of first-ever transient ischemic attack (TIA) or stroke. Background Patients with transient ischemic attack (TIA) or stroke frequently first contact their primary care physician rather than seeking care at a hospital emergency department. The purpose of the present study was to identify a group of patients seen by primary care physicians in an office setting for a first-ever TIA or stroke and characterize their evaluation and management. Methods Practice audit based on retrospective, structured medical record abstraction from 27 primary care medical practices in 2 geographically separate communities in the eastern United States. Results Ninety-five patients with a first-ever TIA and 81 with stroke were identified. Seventy-nine percent of those with TIA vs 88% with stroke were evaluated on the day their symptoms occurred (P = .12). Only 6% were admitted to a hospital for evaluation and treatment on the day of the index visit (2% TIA; 10% stroke; P = .03); only an additional 3% were admitted during the subsequent 30 days. Specialists were consulted for 45% of patients. A brain imaging study (computed tomography or magnetic resonance imaging) was ordered on the day of the index visit in 30% (23% TIA, 37% stroke; P = .04), regardless of whether the patient was referred to a specialist. Carotid ultrasound studies were obtained in 28% (40% TIA, 14% stroke; P<.001), electrocardiograms in 19% (18% TIA, 21% stroke; P = .60), and echocardiograms in 16% (19% TIA, 14% stroke; P = .34). Fewer than half of patients with a prior history of atrial fibrillation (n = 24) underwent anticoagulation when evaluated at the index visit. Thirty-two percent of patients (31% TIA, 33% stroke; P = .70) were not hospitalized and had no evaluations performed during the first month after presenting to a primary care physician with a first TIA or stroke. Of these patients, 59% had a change in antiplatelet therapy on the day of the index visit. Conclusions Further primary care physician education regarding the importance of promptly and fully evaluating patients with TIA or stroke may be warranted, and barriers to implementation of established secondary stroke prevention strategies need to be carefully explored. GENERALIST physicians (internists and noninternist primary care physicians) care for most patients with stroke or transient ischemic attacks (TIAs) in the United States.1 A recent survey2 of patients with access to medical care residing in the Stroke Belt region of the country (southeastern portion of the United States with high incidence of stroke) found that nearly 15% would first contact their primary care physician rather than calling emergency services or going directly to a hospital if they thought they or a companion were having a stroke. Although most patients with acute stroke are hospitalized, 5% to 20% are managed solely on an outpatient basis.3-5 Because of the transient nature of the symptoms and a lack of definitive guidelines regarding the need for hospitalization,6 it is likely that an even higher proportion of patients with TIA are managed without hospital admission. There are few data available addressing how these outpatients are evaluated and treated. The purpose of the present study was to investigate the management strategies used by generalist physicians for patients who present to their offices with a first-ever TIA or stroke. This analysis of patients with TIA or stroke is part of a larger project also assessing practice patterns for primary care physicians treating patients with atrial fibrillation. Details of the methodology used for this study have been published previously.7 Briefly, we first sought to identify several medical group practices with relatively large numbers of general internists and/or family practitioners. For convenience, we focused on 2 geographically separate communities in the eastern United States. In the first community, we identified practices with 5 or more general internists and/or family practitioners. Of 15 potentially eligible practices, 8 agreed to participate. In the second community, we collaborated with a managed care organization that included the large majority of medical practices in the city. Eligible practices had 3 or more general internists and/or family practitioners who participated in the managed care organization and had at least 200 patients enrolled in the plan. There were 29 such practices, 13 with 4 or more physicians and 16 with 3 physicians. We selected all 13 practices with 4 or more physicians and randomly selected 6 of the practices with 3 physicians. All 19 practices agreed to participate. Thus, primary care physicians from 27 medical practices participated in the study; those from community 1 represented a mixture of insurance plans, whereas those from community 2 were all members of a managed care program. To identify patients with TIA or stroke (or atrial fibrillation), each practice's computerized billing records was searched from August 1, 1992, through July 31, 1994. From this search, 2481 records were identified (1411 in community 1 and 1070 in community 2). All 1070 records from community 2 were selected. Because of resource constraints, we could select only 1119 of the 1411 records from community 1 (a total of 2189 records). Given these constraints, we selected all possible records from the family practices and the smaller internal medicine practices and a random sample of records from the larger internal medicine practices. Within the larger internal medicine practices, an effort was made to select equal numbers of records per physician. A data collection instrument was developed, tested using actual medical records, and translated into a computerized form for direct abstraction. For practices located in community 2, abstractors were 12 experienced nurses who were employed by the insurer and involved in its quality assurance program. In community 1, 8 experienced nurses and certified medical records technicians performed the record abstractions. Abstractor training consisted of a 3-day intensive session and a subsequent 2-day follow-up session. Training concluded with independent review of medical records from 6 patients. To encourage consistency, regular telephone conference calls were held to discuss abstractor questions. Supervisors also visited practices to review progress. Approximately 5 records per practice were reabstracted (ie, by a different abstractor) as a qualitative check of interobserver agreement. The abstraction instrument included sociodemographic information, medical history (with particular reference to medical comorbidities and current medication use), a synopsis of the office visit (including symptoms and signs supporting a diagnosis of TIA or stroke), diagnostic testing, referrals to specialists, specialist reports reflecting any diagnostic tests or changes in therapy, telephone contacts, and information regarding hospital stays (ie, discharge summaries). An index visit was defined as the first visit that occurred between August 1, 1992, and July 31, 1994, for which TIA or stroke (or atrial fibrillation) were mentioned. Both the medical history and subsequent patient evaluation and management were based on at least 2 years of information (ie, if the index visit occurred near August 1992, then abstraction of the medical history extended before this date; similarly, if the index visit occurred near July 1994, then follow-up data collection extended beyond July 1994). The mean follow-up interval was 9 months. The records were carefully searched to identify any patients with a prior history of TIA or stroke (whether requiring hospitalization or not). Coding of the index visit as truly reflecting the treating physician's diagnosis of TIA or stroke was also verified by the medical record review. Summary statistics (means and frequencies) and group comparisons (t test or χ2 test) were computed as indicated. Of the 2189 potential subjects, 1159 had an administrative code indicating probable TIA or stroke. Of these, 549 records were located and abstracted. (The remaining records typically pertained to patients who were deceased and their records, therefore, archived by the practice, transferred to other practices, seen by the physician in another setting such as a nursing home or an emergency department, or unexplainably missing.) Of these 549 records, 484 had the diagnosis of TIA or stroke confirmed by medical record review. An additional 37 patients with TIA or stroke were identified in the sample of patients with atrial fibrillation, bringing the total to 521. Of these 521 patients with TIA or stroke, 250 had TIA and 300 had stroke (29 had both TIA and stroke). Of the 250 TIA patients, 155 were not included in the analysis because of a prior history of TIA or stroke, the diagnosis not being reported in the actual medical record, or the patient was not initially seen by the primary care physician in an outpatient setting on an identifiable date. Of the 300 stroke patients, 219 were not included in the analysis based on the same criteria used for the TIA exclusion. Therefore, our analysis included 95 patients with a verified diagnosis of a first-ever TIA and 81 with a first-ever stroke who had no prior history of symptomatic cerebrovascular disease and who were initially evaluated in a primary care physician's office. Table 1 gives the demographic characteristics and medical comorbid conditions of the study cohorts. Patients with TIA and stroke were similar aside from higher frequencies of a history of diabetes and peripheral vascular disease in the stroke patients. Table 2 gives the patient's neurologic symptoms and/or signs as reflected in the primary care physician's office records. Limb weakness was the most common deficit followed by facial weakness, speech or language disturbances, and ataxia. Figure 1 gives the interval between the recorded onset of symptoms and the patient's initial evaluation. Nearly 80% of TIA patients and 88% of stroke patients were evaluated by the primary care physician on the day the symptoms occurred (P = .12). Only 6% of patients were admitted to a hospital for further diagnostic testing and management on the day of their initial office evaluation (2% of patients with TIA and 10% with stroke; P = .03); an additional 3% of patients were admitted to a hospital during the subsequent 30 days. Therefore, 91% of the patients were completely evaluated as outpatients. Specialists were consulted by the primary care physician for help in the management of 32% of the patients. Neurologists were consulted for 14% of the patients with TIA and 20% of those with stroke. A total of 13% of TIA patients and 6% of stroke patients were referred to cardiologists, whereas vascular surgeons evaluated 6% and 3% of TIA and stroke patients, respectively. Table 3 gives the proportions of patients who had each of the indicated diagnostic tests ordered by the primary care physician or consultant on the day of the initial outpatient evaluation. The primary care physician ordered most of the tests, and the frequency that a specific test was obtained did not vary by whether the patient was referred to a specialist (data not shown). Of all tests ordered for patients with TIA, specialists obtained 4 additional carotid ultrasound studies, 2 brain magnetic resonance imaging (MRI) or computed tomography (CT) scans, and 1 magnetic resonance angiogram. For stroke patients, 1 additional carotid ultrasound and 2 brain MRI or CT scans were ordered by specialists. Of the listed diagnostic tests, only 2 additional studies (both carotid ultrasounds) were obtained during the 30 days after the index visit. Therefore, 32% ± 7% (±SEM) of patients (31% with TIA and 33% with stroke, P = .70) were not hospitalized and had no diagnostic studies performed during the first month after presenting to their primary care physician with a first-ever TIA or stroke. Although more patients in community 2 than community 1 had diagnostic evaluations (70% vs 60%, respectively), the difference was not significant. As shown in Table 1, 18% of patients who presented to a primary care physician with a first-ever TIA had a prior history of atrial fibrillation; 9% of stroke patients had a history of this condition. Of these 24 patients, 10 (42%) were receiving warfarin sodium at the time of the index visit. The level of anticoagulation was measured in 3 of these patients who had undergone anticoagulation (international normalized ratios [INRs] of 1.6, 1.8, and 5.3). Of the 14 patients with a history of atrial fibrillation who were not receiving warfarin at the time of the index visit, 11 (79%) were older than 65 years. Four of these 11 patients had hypertension, 1 had hypertension, diabetes, and congestive heart failure, 1 had hypertension and diabetes, and 1 had congestive heart failure alone; 4 patients with atrial fibrillation had no additional cardioembolic risk factors aside from age older than 65 years. Of the 3 patients younger than 65 years, 1 had diabetes, 1 had congestive heart failure, and only 1 had no additional risk factors. None of the patients with atrial fibrillation who had not undergone anticoagulation were prescribed warfarin during the next 30 days as reflected in an absence of INRs in their medical records. Platelet antiaggregants are frequently used in the management of patients with cerebrovascular disease. The primary care physician either added a platelet antiaggregant, changed the dose of the current platelet antiaggregant, or began a new platelet antiaggregant for 47% of the patients with TIA and 32% of those with stroke (P = .04). Of the patients who were not hospitalized and had no diagnostic studies performed during the next 30 days, 59% (63% of those with TIA and 53% of those with stroke) had an alteration in platelet antiaggregant therapy on the day of the initial outpatient evaluation. Approximately 750,000 Americans have strokes each year, with cerebrovascular disease remaining the third leading cause of death and a leading cause of adult disability in the country.8 This study provides unique data reflecting the care of patients with first-ever TIA or stroke who are initially evaluated as outpatients by primary care physicians. Because only 6% of patients were hospitalized on the day of the index visit and only an additional 3% were admitted for inpatient evaluation or treatment during the next 30 days, most patients were completely managed as outpatients. It should be recognized that this low proportion of hospitalization likely represents a subset of patients who first contact their primary care physician for symptoms of cerebrovascular disease. Although stroke severity data were not available in the reviewed records, patients evaluated in the office likely had minor deficits. Those with more severe deficits were undoubtedly referred directly to a hospital emergency department for initial evaluation. We cannot determine if any patients were referred directly to a specialist and admitted to a hospital by the consultant or whether patients may have contacted their primary care physician and had no evaluation. Up to 20% of stroke patients in the United States are never hospitalized.3-5 This lack of hospitalization may occur for a variety of reasons. For example, patients with comorbid conditions that drastically compromise quality of life (eg, patients in custodial care because of severe dementia) and those with otherwise limited life expectancy (eg, the final stages of metastatic cancer) may reasonably be managed as outpatients. In addition, patients with minor deficits who may have recently completed an evaluation for cerebrovascular disease might be managed based on already available information. In the present study, only 2% of patients had less than a 1-year life expectancy as reflected in their medical records; only 8% had any mention of even minor cognitive impairment. We carefully excluded any patients with a history of prior cerebrovascular events. Therefore, the low rates of hospitalization (and additional evaluation as discussed herein) cannot be explained based on these reasons. In practice, following an office evaluation, a primary care physician may judge that a patient's symptoms were not due to cerebrovascular disease. However, all of the patients included in the present study were diagnosed by the primary care physician as having TIA or stroke and would be expected to respond accordingly. There are no clear guidelines supporting the necessity of hospital admission for patients with TIA, and the proportion of these patients who are never hospitalized is not known. Patients with recent TIA are at highest risk of stroke soon after the index event.9,10 Thus, even in those not admitted to a hospital, a rapid and complete diagnostic evaluation is warranted. The majority of patients with first-ever TIA or stroke were initially evaluated in their primary care physician's office on the day their symptoms occurred (Figure 1). Several studies,2,11-13 including one of patients surveyed when they were being seen in their primary care physician's office for other reasons, have found that patients generally have poor knowledge of TIA and stroke symptoms. The high proportion of patients who were seen by their primary care physician on the day symptoms occurred suggests that stroke-related knowledge among patients and caregivers may be improving. However, approximately 10% were first evaluated more than 1 day after their symptoms occurred (Figure 1). We have no data to address the question of whether the delay between symptom onset and the first evaluation observed in these patients occurred because of a failure of the patients to report the symptoms to their physician, because the physicians did not view the symptoms as warranting a same-day evaluation, or because of a combination of these 2 explanations. Therefore, it is not certain whether additional educational efforts need to be directed at patients or their physicians. Both goals could be accomplished by enlisting primary care physicians to provide specific educational materials to their patients at elevated cerebrovascular disease risk. Only approximately 40% of patients with TIA and 37% of those with stroke had a neuroimaging study (brain MRI or CT scan) as reflected in the primary care physicians' notes. Both TIA and stroke may be mimicked by other conditions, at least some of which may be revealed with a neuroimaging study and for which a different treatment strategy would be appropriate. Although outcome and cost-effectiveness data are generally lacking, these data suggest that neuroimaging studies may be underused in this group of patients. Most patients came to their primary care physician with limb weakness or numbness and/or a speech disturbance. Although the records generally did not indicate the physician's view of the vascular distribution of the patient's symptoms, only a small proportion had clear indication of vertebrobasilar distribution events (Table 2). Regardless of whether the patient was referred to a specialist, only 45% of those with first-ever TIA and 16% with stroke had a vascular imaging study (Table 3). It is now clear that patients with TIA or nondisabling stroke due to high-grade carotid artery stenosis benefit from carotid endarterectomy, provided the surgery can be performed safely.14 Vascular imaging studies are required to assess the degree of carotid artery stenosis as part of the patient's evaluation for this operation. The reason(s) for the unexpectedly infrequent use of vascular imaging studies is uncertain. 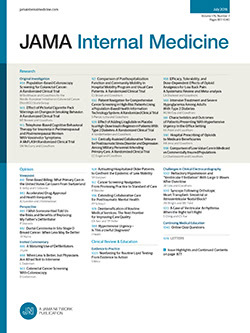 The US National Survey of Physician Practices for the Secondary and Tertiary Prevention of Ischemic Stroke15 found that 1 of 4 noninternist primary care physicians and 1 of 5 internists would not refer a patient with carotid distribution symptoms, a known carotid artery stenosis of more than 70%, and no contraindications to surgery for endarterectomy. Although high complication rates would eliminate a surgical benefit, organized reporting of complications is generally lacking,16 and most referring physicians are not aware of their surgeon's frequency of adverse perioperative events.1 In addition, because carotid endarterectomy is generally not performed as an emergency, patients could be sent to another center if local complication rates are a concern. In addition to lack of an appreciation of the potential benefit of surgical intervention for patients with symptomatic carotid artery stenosis that could be addressed with further physician education, there may be additional unmeasured barriers that limit the use of these diagnostic studies. Patients with TIA or stroke generally benefit from treatment with a platelet antiaggregant.27 The primary care physician added a platelet antiaggregant, changed the dose of the current platelet antiaggregant, or prescribed a new platelet antiaggregant in nearly half of the patients with TIA and in nearly one third of those with stroke. Although this difference in management of patients with TIA and stroke was significant, the reason for this variation in practice is not apparent. Platelet antiaggregant drugs were added or changed in 59% of patients who were not admitted to a hospital and had no further diagnostic evaluation (63% with TIA and 35% with stroke). It can be speculated that the treating physicians may have believed that altering platelet antiaggregant drug therapy represented an appropriate response to the patient's symptoms and removed the need for further diagnostic evaluation. Because patients can benefit from diverse, specific interventions that depend on defined etiologies of the symptoms and signs, the need for complete evaluation of these patients needs to be stressed. In addition to the design-imposed biases in study population discussed herein, other limitations should be recognized. This study is focused on outpatient evaluation, and data reflecting testing and treatment of the 9% of patients admitted to a hospital are not fully reflected in outpatient records. Because the data were obtained retrospectively based on information gleaned from review of the primary care physician's office charts, the quality of the data depends on the quality of documentation in the medical record. There may have been reasons for the choice of a specific management strategy that were not explicitly or implicitly reflected in the notes, and it is possible that tests were ordered and not recorded. These limitations can only be addressed through prospective studies. However, physicians who know that their records will be monitored could alter their normal behavior, introducing another bias. The present study found that approximately one third of patients with first-ever TIA or stroke initially evaluated in their primary care physician's office were not hospitalized and have no further diagnostic evaluation. Diagnostic studies that are necessary for rationale therapeutic decisions (ie, neuroimaging and vascular imaging) are frequently not performed. Anticoagulation appears to be underused in patients with atrial fibrillation and additional cardioembolic risk factors, including having a TIA or stroke. Prevention is the cornerstone of management of patients at risk for cerebrovascular disease, and primary care physicians are the key providers of medical information and preventive interventions. Although treatment guidelines are often published in specialty journals that may not be readily available to many primary care physicians, these guidelines are now widely accessible through the Internet. Based on the present results, the need for urgent evaluation of patients who present to their primary care physician with symptoms of cerebrovascular disease requires further emphasis. Barriers to implementation of established secondary stroke prevention strategies need to be carefully explored. Accepted for publication April 4, 2000. This work was performed as part of the Stroke Prevention Patient Outcomes Research Team (PORT) and was funded through contract 282-91-0028 from the US Agency for Health Care Policy Research, Washington, DC. Statement of authors' roles: Dr Goldstein is the primary author and conducted the statistical analyses of the tabulated data. Mr Bian and Dr Samsa programmed the database analyses, and Dr Samsa reviewed the statistical methods. Dr Bonito and Ms Lux developed the data abstraction instrument and supervised data entry. Dr Matchar is the principal investigator of the Stroke PORT and contributed to the entire project design and conduct. Corresponding author: Larry B. Goldstein, MD, Duke Center for Cerebrovascular Disease, Head, Stroke Policy Program, Center for Clinical Health Policy Research, Box 3651, Duke University Medical Center, Durham, NC 27710 (e-mail: golds004@mc.duke.edu).